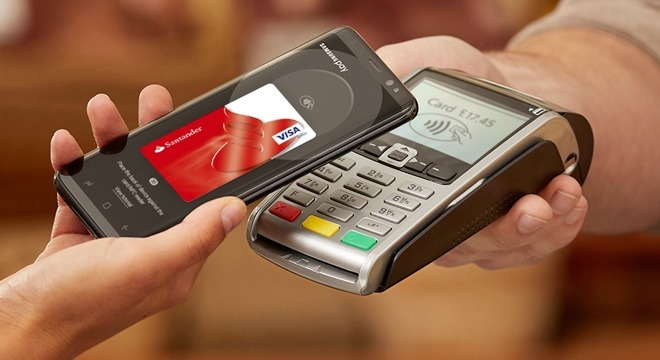 Must have been a soft launch earlier then, because I saw Samsung Pay in the UK when I was there about a month ago. I think Costa Coffee and elsewhere. I'm not saying that it's a success or anything, but a little more progress than the article suggests. As in the article, you can also use the Samsung Pay to replace the transport "Oyster card" which would be a nice convenience. Not enough for me to use Samsung Pay, but it's not entirely without merits. There's something really off about the phone in the picture. It looks overly long, like the image Samsung used of the iPhone 5 to show how its phone was better than the longer iPhone.